The so-called "Lapid Affair" came to a close on Tuesday when the Council for Higher Education put an end to the journalist-turned-politician's bid for a PhD. The Plenary Committee of the Council of Higher Education voted unanimously to endorse the committee’s recommendation to monitor and enforce basic requirements for admissions to graduate programs at Israeli Universities. The council ultimately rejected the notion of "exceptional conditions" and voted to bar anyone who has not completed an undergraduate degree from graduate programs. 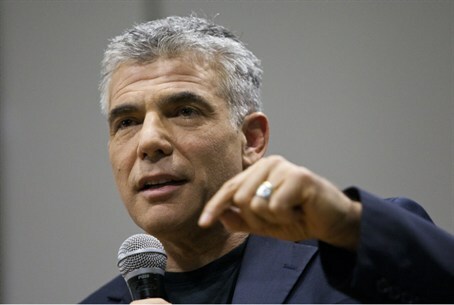 The decision came after the CHE was asked to probe a decision by Bar Ilan University to admit Lapid directly to a Master's and then a Doctoral program, despite his not having a B.A. degree. The prestigious Culture and Interpretation program, to which he was acepted, normally requires students to complete a B.A. with Honors before they can be considered for acceptance. The Council for Higher Education is also expected to recommend sanctions on Bar-Ilan University for violating regulations pertaining to acceptance for graduate studies. Lapid's newly formed and militantly secular and anti-hareidi Atid party has skyrocketed in the polls to 11 seats, most of which have been gained at the expense of Kadima. His father, Tony Lapid, was the head of the equally militantly secular and virulently anti- hareidi Shinui party. The Shinui party, which also rose to prominence and won 12 seats, joined a coalition with hareidi parties in the end and only survived the term of one government before imploding.